From left: Samantha Ball, Scott Smith, Jennifer Hudson and Amy Smith. 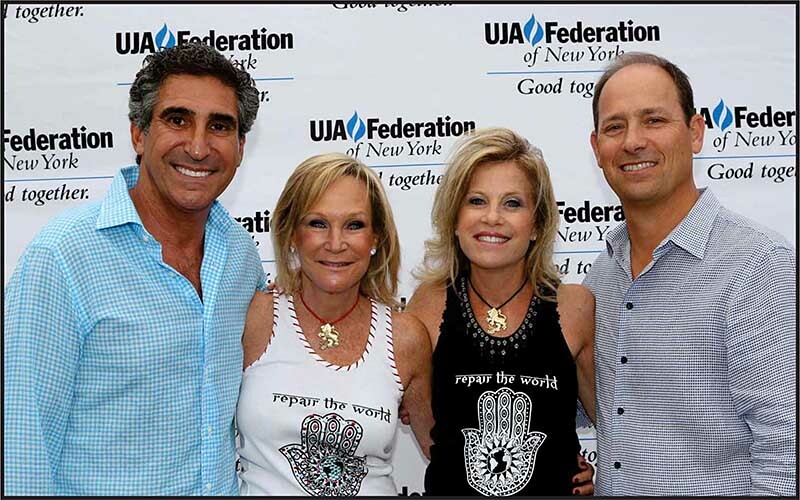 From left: Jay and Annie Gilbert with Joyce and Philip Sharfstein, Chairs of UJA-Federation's New Leadership Campaign. 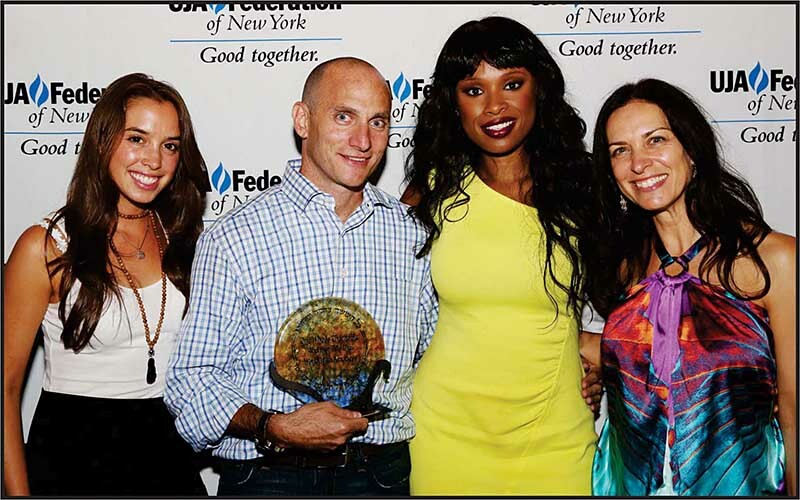 A record-breaking 1,700 people attended a performance by Jennifer Hudson at UJA-Federation of New York’s 23rd Annual Summerfest Concert. The concert was held at the NYCB Theatre at Westbury, Westbury, NY. The event, offered through UJA-Federation’s new Leadership Campaign, recognized Scott Lawrence Smith, of Roslyn Heights, NY, with the prestigious Robert S. Boas Award for his philanthropic and commu-nity leadership. The reason I support UJA-Federation is simple. It provides me with the tools I need to support all the things that are important to me: Israel, local charities, local synagogues, and Jews all around the world.” said Scott Lawrence Smith. The evening began with an elaborate buffet and cocktails under a beautiful tent. Guests then found their seats in the theatre where a program introduced them to the work of UJA-Federation. Jennifer Hudson took the stage where she brought the crowd to its feet. Towards the end of her 60 minute concert, she came down into the crowd to dance with Summerfest guests. Annie and Jay Gilbert and Sharone and Richard Gilbert, all of Old Westbury, NY, chaired this year’s event. Joyce and Philip Sharfstein, of East Hills, NY, this year’s New Leadership Campaign chairs, oversaw the event. The event was produced by Lawrence Scott Productions with Foremost Catering providing the food. Proceeds from this event benefit UJA-Federation of New York’s annual campaign.